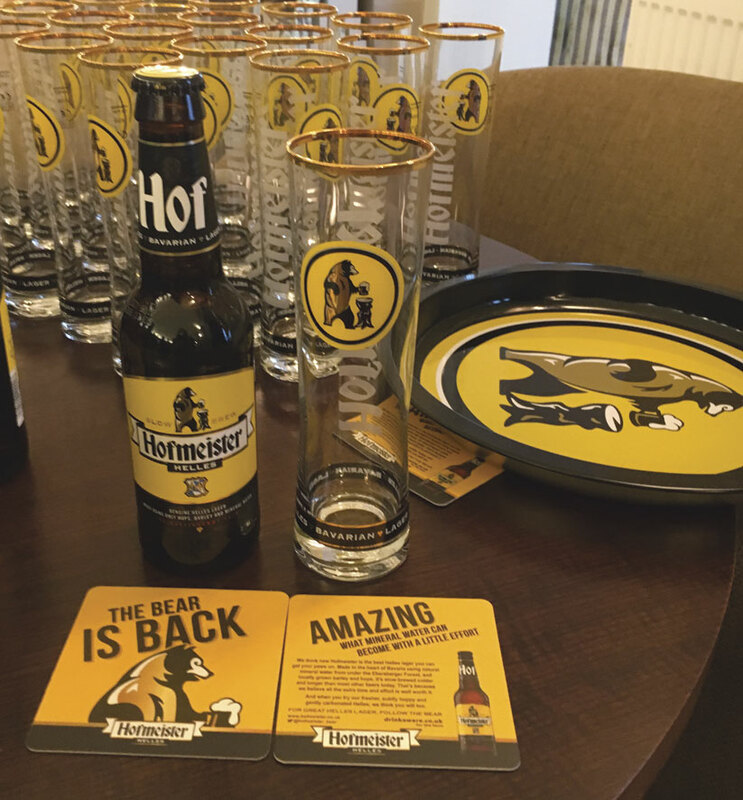 First up in our new Client Spotlight feature is The Hofmeister Brewing Company, which is behind the successful resurrection of the popular 1980s Hofmeister lager brand. In the last 12 months, the team has relaunched the brand back into the UK market after a 13-year hiatus, importantly with a very different and much improved beer. This time Hofmeister IS brewed in Bavaria, in a small fourth generation brewery. It is a Helles lager brewed according to the 502-year-old German Purity Law, the Reinheitsgebot. Their high-quality lager was crowned the Best Lager 2017/18 in the prestigious IWSC Beer Awards in October 2017 becoming the first and only lager to be awarded 5 stars. Judges said it was a “superior example, setting the standard” in the category. Now being stocked in over 150 outlets across the UK, it’s been quite an achievement for a brand that just 12 months ago had zero customers, zero credentials and only incorporated in December 2015. The relaunch was the culmination of some 20 years of creating alcohol gift products for major retailers and drinks producers through sister company Brand Packaging Solutions, also a McBrides client. “We had always quietly talked about one day having a business, or a brand, of our own,” says Hofmeister CEO Richard Longhurst. The entrepreneurial spirit kicked in when the team – which includes Spencer Chambers, David Farrington and John Byrne – found out in mid-2015 that there might be a chance that Heineken, Hofmeister’s then registered owner, might allow them to do precisely that. “Breathing fresh life into brands was very much our core skill during our gifting days, constantly coming up with new ideas and concepts to revive the fortunes of existing drinks brands”, Richard explains. “We knew and could see the potential that Hofmeister had. In its heyday, admittedly as an unashamedly high volume, pile it high standard lager brand, Hofmeister was big business. Launched by Scottish Courage in 1977, it had grown by the late eighties to become one of the UK’s Top Five beer brands. The team identified Privatbrauerei Schweiger as the right Bavarian brewer capable of producing genuine Helles lager – and it recruited Zoe Howorth to bring her marketing skills honed during her tenure as marketing director at the Coca-Cola Company. They haven’t looked back since. With just over two years since incorporating and a little over 12 months in operation, the brand’s recent awards speak for themselves. “Coupled with the publicity, the impact on trade has been phenomenal and Hofmeister Helles is being well-received by British beer drinkers of all ages”, says Richard.